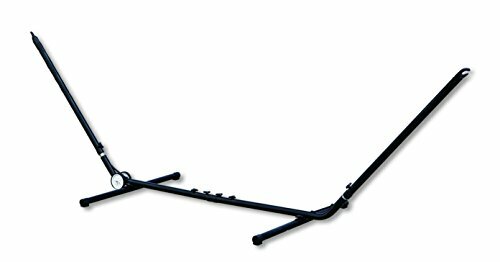 This adjustable hammock frame with wheels from Backyard Expressions features steel tube construction with a powder coat finish & can be adjusted to fit most hammocks. It can holdup to 275 lbs. Wheels make it easy to transport from location to location. If you have any questions about this product by Backyard Expressions, contact us by completing and submitting the form below. If you are looking for a specif part number, please include it with your message.